After reading the title of this chapter I’m sure your mind will race through all sorts of assumptions and theories, all of which could be both profoundly inaccurate or actually true. I believe there are quite a lot of people that knew the former USSR doped their athletes to excel on the athletic field but the understanding these researchers had on the human body was fascinating. Kalinski writes this chapter as firsthand account of the exercise science boom during the height of its’ day in the early 1970’s and into the 1980’s in Russia and the United States. 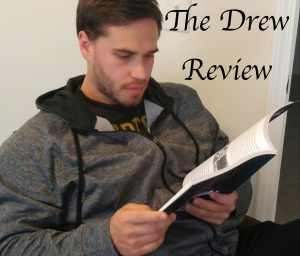 The chapter is broken up into 3 parts, covering specific topics such as; creatine research and its impacts on athletic performance, the American-Ukrainian connection in discovering cyclic AMP and its importance, and lastly, the state sponsored doping in the USSR. This chapter is both enlightening and downright daunting as it relates to the past of exercise science. If you are a strength coach who wants more insight in the USSR state sponsored doping or the specific issues that were researched during this time (early 1970’s-80’s) in our history then this chapter is for you. The reason I chose the quote before this review of The Manual Vol. 3 Chapter 7 is because the quote encapsulates the simplistic way Dr. Mann prevented ACL tears when he was first starting out as a strength coach. In the first part of the chapter Dr. Mann describes the exercise parameters he used to convey what was “strong enough” for his athletes (primarily women soccer athletes). Then there is a transition into the muscular, neurological, and skeletal mechanics in and around the knee. The last part provides the components of the effective warm up used in this case study. Read the chapter to find the results, but what strength coaches will take from reading this chapter is that there are a lot of variables to consider when it comes to injury prevention. Most solutions can be thought of logically, but others need to be address after a little research. The first word that came to my mind when I finished this chapter was…compelling. Compelling, in regard to the overwhelming amount of information within the 30 or so pages of non-refutable content which has a tone of conviction. If you are training an athlete or group of athletes you should have a training system from which you believe in and follow, this aspect of strength coaching is what the authors based their entire chapter. Curtis and Heishman cover everything you could possible think of in a training system, to include; athlete profiling, preparation, and recovery modalities. As the authors note in the conclusion, the material in this chapter could be expanded to fill an entire book. With that being said the perspective presented in Chapter 6 is, as the authors so accurately depict, from 30,000-foot view. Strength coaches should have a “model” or “system” when it comes to the training of their athletes, this chapter is THE guide to help you accomplish that goal. Brett Bartholomew is someone I’m sure you have heard of either on social media or going around on the conference circuit. Everything he says, or writes is profoundly thorough and direct. He is in the business of helping strength coaches relate to their athletes in a way to produce true relationships and from those relationships come better results on and off the field of play. This chapter is no different and talks about the difference between reductionist coaching and conscious coaching (I know you have heard of this concept if you haven’t Google Conscious Coaching now!) as a means of discussing the complexity in coaching someone. Bartholomew is a trend setter in the field of strength and conditioning right now and this chapter dares you to get outside your frame of mind and consider another way to make an impact on the athletes you train. Peak Performance was one of the easiest books I have ever read. While there are plenty of research and literature references Stulberg and Magness fall back on, this book reads like a memoir. This aspect is what I liked most about this book; the real-life examples the authors draw upon to convey their points and then use science to further support their points. All the topics and examples are presented in ways that the reader can easily comprehend and apply to their own life. A lot of books are geared toward improving performance; this book is no different in that endeavor, but what this book offers is a chance to help people, or yourself, get better without all the typical fluff or constant repetition. After reading this book you will find yourself reviewing how you have done things in the past and discover new ways to optimize your performance. A little over 200 pages; this book is either a quick read or a few hours of listening. There are 9 chapters in all with 3 different sections labeled, “The Growth Equation,” “Priming,” and “Purpose.” These sections help you the coach or athlete, understand stress, prepare for success, and find your reason to perform. Also, throughout each chapter there are “Performance Practices,” which help the reader act on the information they are digesting. This book should be on your shelf because a. it’s simple to read so there is no excuse, and b. Peak Performance is true to it’s title…..it will help you and your athletes succeed. The term microdosing is exactly what it sounds like, providing a small dose over and over to hopefully elicit a beneficial response. In this chapter, Hansen proposes a very creative plan to use high intensity work, through the means of sprints or lifts, as a microdose during the off-season and in-season of athletic competition. The basis of which is from an injury prevention and volume control stance. I was thoroughly entertained by reading this chapter because the contents are ultimately describing a science experiment. This philosophy of microdosing, as Hansen mentions is based off the work of Charlie Francis, looks at the sport training and physical preparation portions entirely on feel and self-experimentation. Of course the results speak for themselves when looking at the work of Francis and Hansen, but I am reminded of the importance of trying something out and seeing what sticks. A strength looking to perhaps play around a little with their training programs, during the in-season first as Hansen recommends, should look into microdosing with their athletes. The Brave Athlete was a Christmas present from my brother-in-law and sister, and they decided to get it for me on a whim because in their words it looked “sporty.” I didn’t know what to expect from this book simply because I didn’t know it existed, but it turned out a friend of mine bought her brother (who is a triathlete) this book in hopes to help him accomplish his goals in his endurance sport. So, I assumed this would only appeal to endurance athletes but I was surprisingly mistaken. When you read The Brave Athlete you will begin to understand why this is geared towards endurance sports athletes, because let’s be honest you have to be a little nuts to endure events like a marathon, half marathon, triathlon, etc. ; but this book addresses the mental struggle every athlete faces when competing against someone or their own self-doubt. Addressing the solutions to the common feeling most athletes exhibit either externally or internally, such as; I feel fat, I keep screwing up, I don’t cope well with injury, I don’t like leaving my comfort zone, just to name a few. Being a “brave” athlete is the ultimate goal of this book and within these pages are a detailed plan of attack to accomplish your goal within the mental aspect of sport. I am extremely happy for having read this book and have actually re-read it already! At its core, The Brave Athlete is a sports psychology book meant to help you (the athlete) become passionate, mentally ready, and a better athlete in the sport you find yourself competing in. There are 3 parts to this book and 13 chapters in total. The first part deals with finding who you are as a person and discovering your passion if you don’t have one. The second is all about dealing with the things that are most challenging in sports; the obstacles, setbacks, and personal conflicts. Lastly, the third part explains new tools to help you fight back from the emotional and physical influences in front of you to help you find success as an athlete, not just on the field but in life. Strength coaches who want to help athletes in their mental game should get this book! There are easy to follow exercises that anyone could use to delve a little deeper into issues that could be holding those athletes back from performing their best. Chapter 8 of The Manual Vol. 2 is a perfect read for any strength coach that works with soccer. Soccer is a sport that can be hard to deal with on a regular basis (and that’s just the sport coach side of the things). Robertson (IFAST) provides such a clear system of development from the youth level all the way to the elite level. Also, the principles of training presented throughout the chapter are basic enough to understand and manipulate to address your own teams’ needs. Along with the training principles, I appreciated the real world examples and candor Robertson uses, the material was really easy to read because of it. I would have liked to have seen more explanation for the training done during the preseason and in-season periods because the end of the chapter felt rushed, but the points are there. Strength coaches will find in this chapter a self-help guide to creating a yearly model of training for soccer players, which will help you get buy-in to your program from athletes and coaches. You can find sensational content just like this in The Strength Coach Network. As a member of The Strength Coach Networks, you can access over 200 hours of the highest-level lecture content just like this one for 48 hours for only $1. Click here to sign up and use the code CVASPS at check out to get a 48 hour trial for only $1. This book has been on my shelves since it was published in 2012 and I read it annually. Creativity is something every strength coach uses on a day-to-day basis and Steal Like An Artist is a great tool to remind you how to use that creativity. Kleon does a fantastic job of relaying simple ideas and allowing the reader to draw their own conclusions. Although at times the book can seem a little too “pie in the sky” to me, the general idea of creating something you can be proud of and sharing it with others is a principle I can always stand behind. Steal Like An Artist is a short book (147 pages) and is only long enough for Kleon to discuss his “10 Things Nobody Told You About Being Creative.” There are a lot of illustrations that accompany the text which makes for an even faster read. At the end of the book Kleon gives steps for the reader to use to become more creative. I recommend this book for any strength coach looking to start using his/her creativity in everyday life not just in the weight room. This book also makes a great gift for a graduating athlete. Chapter 7 of The Manual Vol. 2, written by Carl Valle, addresses the multiple variables at play that come with aerobic training in the team sport setting. Included in the contents of this chapter are; goals of aerobic training, modeling the aerobic training sessions in a season, aerobic adaptations, different kinds of aerobic workouts, managing strain, and monitoring to ensure recovery and performance increases. To put it simply this chapter covers A LOT, but I thought Valle did a fantastic job keeping things clear and concise. What I liked most about this chapter is the continued emphasis on an athlete centered program where the main goal is to improve the performance of the athlete. Valle doesn’t shy away from challenging the strength coach to be self-reflective and become accountable for the programs they create. Strength coaches looking to make/tweak aerobic conditioning sessions will find this chapter to be a fantastic rubric to work from.